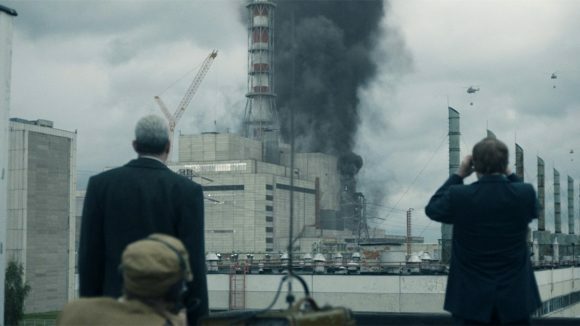 SoHo will launch the intense docudrama Chernobyl within 24 hours of its HBO premiere (9.30 Tuesdays from May 7). The five-part “real-life horror story” was directed by Johan Renck (Breaking Bad, Bloodline) and dramatises the sacrifices made to save Europe from the 1986 nuclear catastrophe. Jared Harris (The Terror) portrays Valery Legasov, a leading Soviet nuclear physicist who was one of the first to grasp the scope of the unparalleled disaster. Stellan Skarsgård co-stars as Soviet Deputy Prime Minister Boris Shcherbina, who was assigned by the Kremlin to lead the government commission on Chernobyl in the hours immediately following the accident, and Emily Watson plays Ulana Khomyuk, a Soviet nuclear physicist dedicated to solving the mystery of what led to the horror of Chernobyl. Also new to SoHo next month will be S5 of Line of Duty (8.30 Sundays from May 19) and the behind-the-scenes documentary, Game of Thones: The Last Watch (May 27, 1.00/8.30). Back for Box Set Saturdays will be The Newsroom (S2), The Looming Tower, Outcast (S1) and Ray Donovan (S4).